Cheryl Barnes has more than 10 years of experience in securities and structured finance matters. She represents a number of investment banks, commercial banks, government-sponsored enterprises, and other financial institutions. She has acted as issuer's or underwriter's counsel on over one thousand securitized offerings, including both MBS and ABS offerings based on student loans and mortgage loans, among others. Cheryl also has extensive experience with mortgage pass-throughs and REMICs. 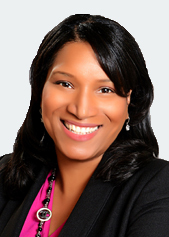 Cheryl was recently recognized among the Most Influential Black Lawyers in 2015 by Savoy magazine. The Savoy list comprises the "best of the best" of black lawyers who are partners at leading national law firms, and who are recognized for their professionalism, protection of rights and community service. Cheryl received her J.D. from the University of Maryland School of Law and her B.A. from Bennett College and is admitted to practice in the District of Columbia and in the State of Maryland.